The AquaCAM-D® is a performance proven aerator/mixer/decanter designed for use in Sequencing Batch Reactor (SBR) systems. The AquaCAM-D® is capable of treating flows as low as a few thousand litres per day up to 380,000 litres per day. 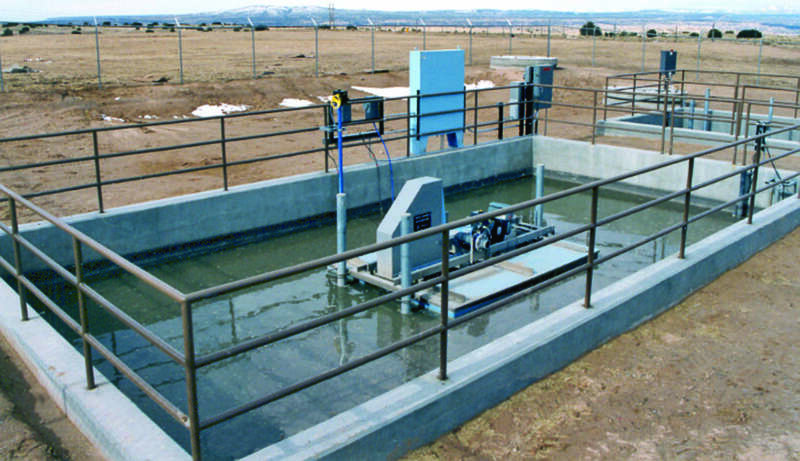 The unit shows versatility, being successfully used for both pre-treatment and secondary wastewater treatment throughout a range of of municipal and industrial applications. The AquaCAM-D effectively and independently aerates and mixes the SBR reactor while offering subsurface decanting of final effluent.